Welcome to Change(b)log - a roundup of the latest features you're going to love. Want to know more? Visit our full changelog. ZenHub's API is accessible for anyone interested in interacting with ZenHub in a technical manner. 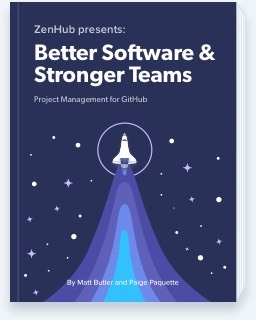 From developers looking to build custom programs using ZenHub data or integrate with other software within their development workflow, to new teams looking to migrate from other project management solutions like Trello or JIRA. It’s now possible to automate the flow of data using our write API! Eliminate duplication of data and administrative work through the migration of data from products within your workflow, such as taking your roadmap plan from Aha! and translating that into Epics and Issues automatically in ZenHub. Or, make that move away from Trello and JIRA seamless by transferring not just your data, but the prioritization and placement of your issues throughout the ZenHub board by leveraging the suite of write API endpoints to recreate your workflow. Integrate products you’re already using such as CircleCI or Travis into your ZenHub workflow by automating the movement of issues between pipelines when a build finishes or a test passes. View our API documentation here to get started. Using a multi-repo board? If you have connected repositories together, your Velocity Charts will pull in data from more than one GitHub repo — giving you an even more accurate idea of your speed. Velocity Charts are meant to provide insights on how much work your team can realistically tackle. During short sprints of work, holidays, spikes to setup projects, or other downtimes, it's important to filter these sprints out of your average velocity to truly reflect the capacity of your team. What do you want to see next? We're all ears! Tweet us @ZenHubHQ or send us your two cents directly.